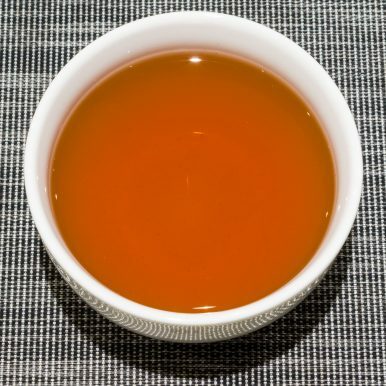 A supremely smooth Yunnan black tea made according to Classic 1938 recipe. The long and delicate, golden black leaves are completely hand processed. The liquor has a sweet and malty taste, with no astringency. 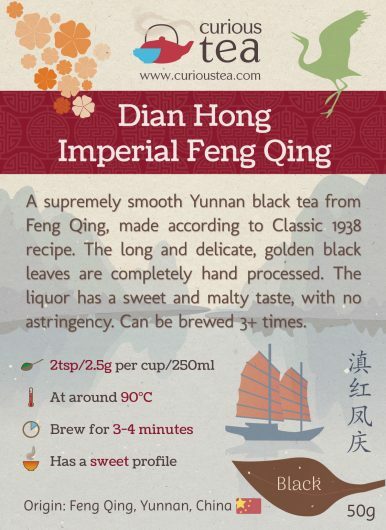 Dian Hong Imperial Feng Qing (滇红凤庆) is a great example of a smooth Chinese black tea from Yunnan Province. 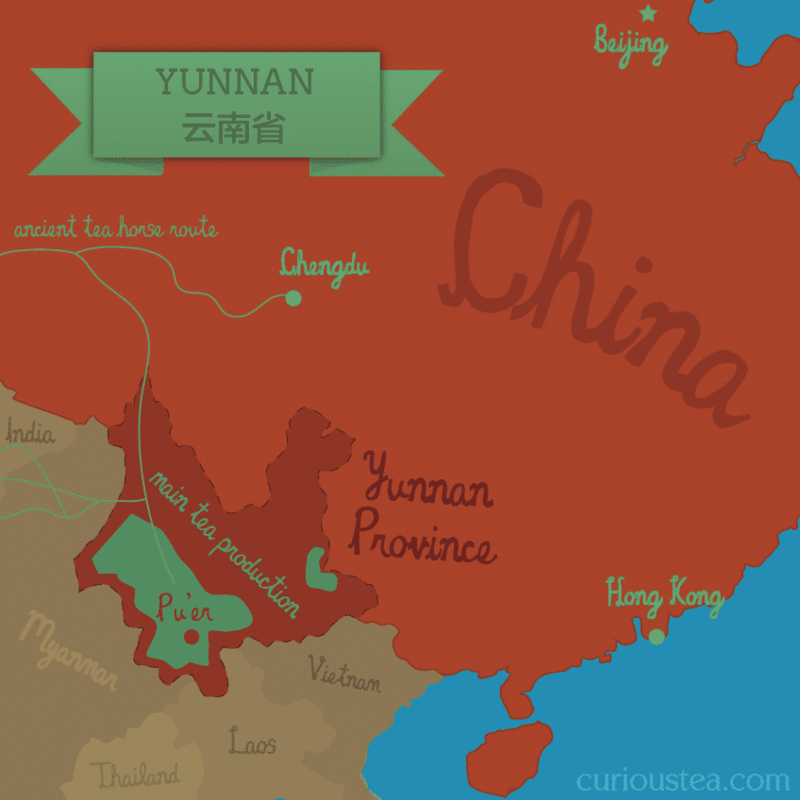 Dian Hong, literally Yunnan Red, refers to the origin and type of tea (red according to Chinese tea classification). Imperial Feng Qing refers to the style of this tea and the production area, Feng Qing County of Lincang Prefecture. Black tea production started in Yunnan quite recently, the year commonly given is 1938. The first black teas were produced in Feng Qing County. 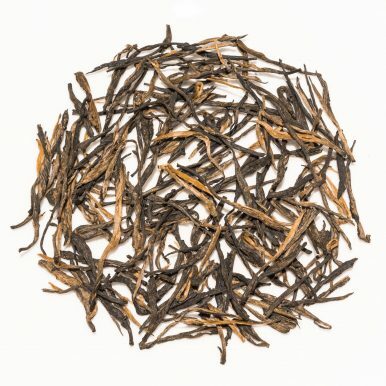 They proved quite popular very quickly so the production of black tea quickly spread throughout Yunnan Province. 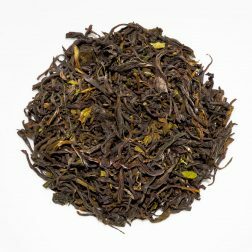 The rise in popularity was largely attributed to the balanced and smooth flavours of Yunnan Red – fully bodied sweet maltiness without any of the astringency of other black teas. Dian Hong Imperial Feng Qing is also known as Yunnan Imperial Classic 1938 because it follows the original recipe from 1938. This is a time consuming process, where the tea is hand processed at every stage. The leaves consist of one leaf and one bud and the hand processing makes sure the shape is very well preserved. 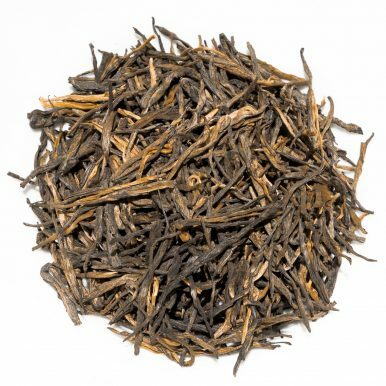 There are fantastic black teas produced in Yunnan and this is definitely one of them. 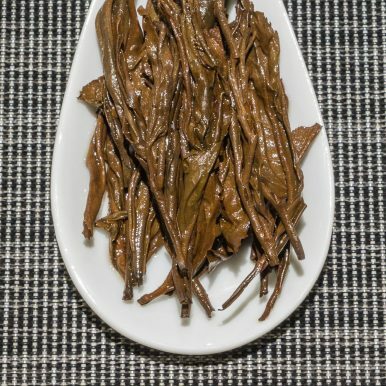 This Dian Hong Imperial Feng Qing black tea was picked and processed in April 2016. The dry leaves are very long and thin, black and gold in colour. The brewed leaves retain their shape and produce a medium strength liquor. 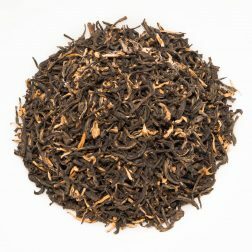 This tea has a very pleasant malty scent with a hint of rose hip aroma. The taste is balanced, sweet and malty with a hint of hibiscus on the aftertaste. Dian Hong Imperial Feng Qing black tea is perfect to have without milk as it’s very smooth and does not have any astringency. Of course, it can always be brewed stronger by steeping the leaves for 5+ minutes to make a particularly strong tea that could take a dash of milk. It is best brewed at 90°C for 3-4 minutes according to your taste. It can also stand multiple infusions well. 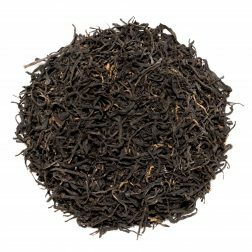 Dian Hong Imperial Feng Qing black tea was first featured in our June 2016 Curious Tea Subscription Boxes. 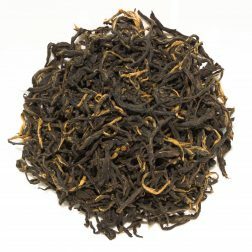 A lovely light and floral black tea from the Blue Mountains in southern India. It produces a bright and intensely aromatic cup with crisp stony, floral and fruity notes. 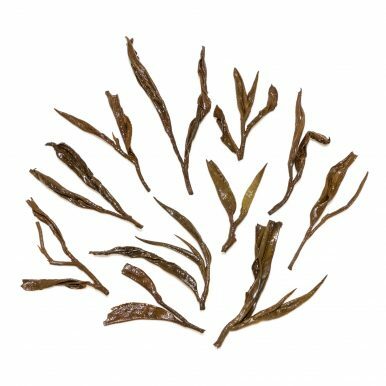 A high grade variety of Qimen tea from China. The dark amber liquor has a sweet, smooth, stony and floral character with slightly smoky notes of red dried fruits.